If you fail to plan your business will wither up and die. Are you fed up with going into a new year hoping for the best? If so, the little-known information in this article comes at just the right time for you. You will learn exactly how to put a solid executable business plan in place to end your frustration once and for all. As a mentor and coach to small to medium-sized business owners, I have seen the results of having a solid plan in place to kick off a new year. I will tell about some of those results in a bit. BONUSBut first, if you are in a hurry to get started, get the planning checklist I have used for years. You may find it useful as you read this article as well. You might think you know how difficult it is to plan and about all the excuses that people use to avoid planning. The truth is, most people are pretty good at planning when it comes to things like vacations and parties. Think about your own experience. What Do We Know About The Risk Of Not Developing Your Business Marketing Strategy? Why waiting for things to develop on their own is such a bad idea. Many people want to know precisely what is a marketing plan and why they should have one at all. There are various definitions out there, but simply put, it’s how you get people or prospective clients intrigued in your business, your product or your service. How to position your brand, create messaging and establish your organization’s promotional goals all contribution to supporting your endeavor to interest people. How you participate with or pursue your audience is what defines your business marketing strategy. A marketing program is the foundation for which you are able to judge whether your plan is successful. 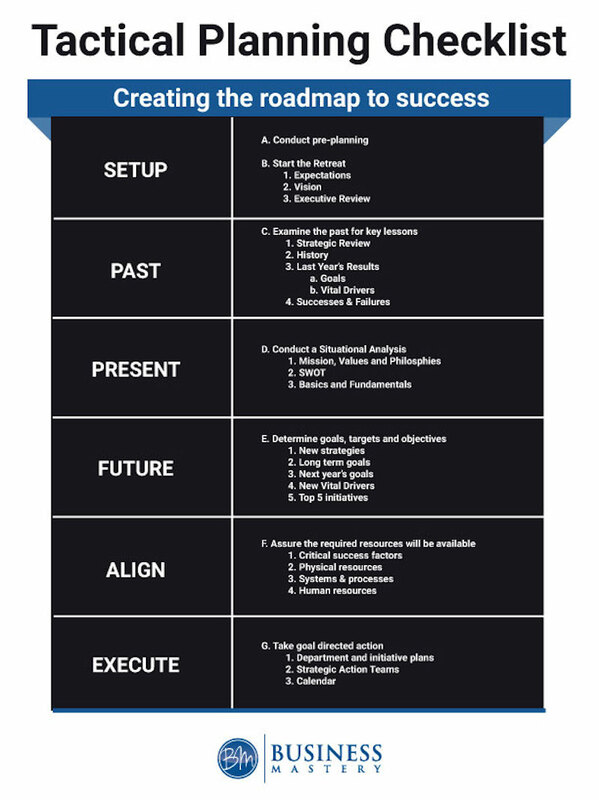 You can from that plan determine if you’re meeting the objectives set out and defined in the strategy. The advertising or promotional program is actually the cornerstone of every marketing effort and acts like a springboard for all future efforts. Some company owners sometimes get so hung up in the finite details of creating, developing and testing a product, they don’t spend the requisite time to figure out who the audience is, what the item should say and why people will be interested. Without paying attention to a marketing plan a product launch could be hurried and not be as successful as a promoted by a marketing plan to guide it in the market. 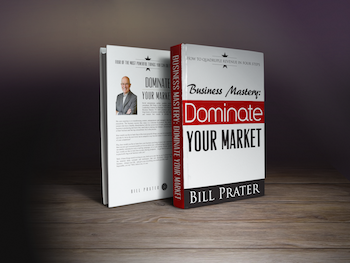 Bill Prater, business owner, entrepreneur, publisher, author, speaker, consultant, and coach. He is best known for long-term success enabling business owners and leaders to quickly eliminate personal barriers, rapidly reach their current dreams, and to embark on a journey of business mastery. Major turmoil brings out the worst in people and shines a spotlight on their true character. Most countries are not booming and many of them are in a crisis, including the US. There will be many noisy meetings as government officials all over the world gnash their teeth and snarl about the economic mess in their country. And, many businesses are in crisis mode as well. The question is, what can you as a business owner do about it? As I mention in the articles’ title, anyone can take the helm in a calm sea. While that’s not entirely true, it is certainly much easier to lead when it is “business as usual”. That passiveness has its own issues, but that’s a topic for another day. Few do well in the face of a crisis. Major turmoil brings out the worst in people and shines a spotlight on their true character. You’ve seen it—typically massive random activity, frustration and worse. Want To Know How To Get Ahead? Stop Working So Hard. Most of us would like to think of ourselves as able to do more. To have a job with more responsibilities. To make more money. To be able to be more of service in the community. In short, to grow…to get ahead in life and in career. However, in my experience most people are not going to realize any of those things, They haven’t done a very good job in positioning themselves to take advantage of the opportunities that they say they want. What’s Stopping You From Getting Better Results Every Single Time? The most recent quarter just ended and every publicly traded company in the world is scrambling to post stellar quarterly results. Why? Simply because the better the quarterly results as compared to the analyst’s projections the more likely your stock price is to increase. That’s not at all the case if you own a private company. Quarter to quarter results don’t matter very much. Even annual results don’t matter very much. You’re in it for the long haul. And, the way you measure better results as net positive cash flow and, if possible, less effort on your part. A cornerstone of my work at Business Mastery revolves around the concept of Execution. This is the fine art of getting the right things done on a consistent basis. Essentially, the concept is converting your vision and your strategy to positive and consistent cash flow. This is a very important concept to internalize and it’s vital in these very tumultuous times. I was reminded of this while reading a fine book by Stephen R. Covey and his colleague Bob Whitman called Predictable Results in Unpredictable Times. One of the key points they make is to “Execute Priorities with Excellence” and they continue to list how to do so. The rule of thumb is: the higher up in the organization, the higher the compensation. That’s all well and good for most positions because you generally do what you have always been doing, but better. However things get a little less clear at the very top. So, what exactly should you be doing if you are the CEO? What the heck is a CEO? Before I continue, I want to make a key point. Most business owners don’t think of themselves as the CEO. It sound a great deal more corporate than they feel. They, and everyone else in their business agrees, merely think of themselves as the founder, the owner, the boss, or simply the “chief”. Do You Make These Mistakes In Your Leadership Training? Leadership Training: Better Than An MBA? If you plan on increasing the top line and the bottom line of your business then you’ll want to invest in training your leaders. Business owners currently have several alternatives available in the area of management training. Many universities offer evening executive MBA programs; provided you have excellent current managers you can utilize on the job training; and, several seminars and workshops are available in most major cities. Recently, a reasonable number of high-quality online “universities” have been developed to deliver leadership training and management training. There is a clear relationship between the best businesses in an industry and the ones that have the best managers and leaders employed. The 5 Whys methodology is a great problem-solving technique that anyone can employ. Almost nothing goes according to plan. Almost everything takes a path we did not expect and… Sometimes we have to figure out what went wrong so we don’t do it again. Not many of us are going to install the full-blown Toyota Production System anytime soon. But, there is one aspect of it that has wide applicability for all of us. Although it’s not intended to be the end all and cure all, it is a technique I suggest you use to help solve the very next problem you face. It involves asking “why” over and over again until you get to the root of the reason the problem happened. Once you know the root cause, the solution is often much more clear. By the way, if you have a young child nearby, you don’t really have to read this article. Just ask them why they are always asking “why” and you will know the secret. Are You Ignoring How Your Customer Service Can Double Revenue? Most companies leave sales to the sales force and customer service to the customer service team. That is a recipe for a expensive screw up. Everybody in your organization makes direct customer contact. Each worker, from the president and other officials to craftsmen, sales folk, accounting staff, and service crews. Each single contact anyone in your organization has with its customers either reinforces or corrodes the organization’s entire relationship with your customers. That includes each invoice you send, each ad you run, and each telephone call you make or receive. How well are you coaching all of your staff to cultivate your clients all of the time? Hundreds of business owners and entrepreneurs have relied on me and my team to help them realize their dreams. I have created processes, techniques and systems that have enabled them to become high performance executives and create the exact business they want. You are probably just like them. Virtually all of my clients once had a healthy dissatisfaction with their current level of sales, profits and cash flow. They knew they needed help in making real changes and asked for my help. ©2019 Bill Prater, Business Mastery, LLC Powered by the Get Noticed! Theme. YES! I Want To Create A Step By Step Roadmap For 2018 Now! Click on the Image on the left For Instant Download!